No one wants their business to get down in this world of competitiveness and technology. Everyone wants to avail every opportunity they have to get their business on top. The small and emerging new businesses find it hard to invest on each and every department of the company but still they need all the latest advancements in the world of technology to keep breathing with the peer pressure. Thanks to the modern vision of discreetness that today there are several services that one can outsource to get the best from them. One of such services is names as the managed IT services. Before we begin with the main topic, let us find out what the managed IT services are and how a company can avail the benefit from them. The managed IT services can be defined in simplest of the words as a group of professionals from the field of IT, who are all experts in their own jobs, highly qualified and certified people who are always willing to help when you need them. This group of people offers its services so you can hire all of them or just a few of them according to the need of your company. 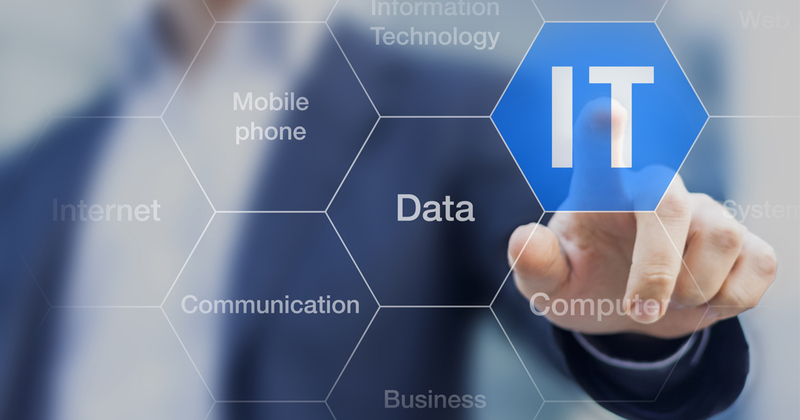 What can the IT experts offer you? These experts can do anything for you since they are trained and they keep updating their profiles to meet the demands of the clients to match with the latest technology trends. It becomes easier for small or even the large businesses who are willing to avail their services to hire them for a temporary period, get the task done by them in a very short time compared to the in house IT team and then go back. Yes, it is as simple as that. The outsourced team does not require the time and expertise of your employees either so the others can work on their projects and the IT team can work on theirs. Also Checkout Does your Business Need an In-house or Outsourced Big Data Solution? If you too are looking forward to outsource the services of some IT experts, just like the Calgary IT Support, you would be amazed to know the areas which they can cover to provide you with the best results and to take your company to new levels. And a lot of other services are there that the managed IT services can provide you. We have gathered here a list of all the things and advantages that the managed services can offer you. If you have plans for hiring the IT professionals for your company, you can have a look at this list and get the happy heart that it is going to save your time and will boost your company for progressing better. Whether you own an IT team for your company or you have a couple of IT professionals to fulfill the needs of the company, you might come across the employee downtime frequently. For example if you have a project that you want to deliver on so and so time but the employee gets sick, ill, asks for a vacation or simply doesn’t show up, you cant meet the deadline and your reputation could be at stake due to it. However, when you outsource the IT professionals, there is no need to worry about such thing as they are a group of trained professionals who can take care of it all even if one is not able to complete it right in time. When you are in business, each and every minute is important for you to be availed and you just cannot stand the issues just like a crashed server or some bad IP. Not all the people in the company are aware how to deal with these issues and because of that they could get stuck in the work. Having the IT professionals at your service, you can enjoy doing what is truly important to you, that is your business and the others can take care of the IT issues. This enhances the efficiency of the company as it helps save your time that you would otherwise spend on unimportant tasks. Without having the IT experts at your company, you cannot have any idea for how you are going to cope with the IT issues of the company. It some malware effects the systems of the company, your important data could get lost, your files could get deleted and your company could come to some serious damage. Having the IT experts, you can secure all the data and everything important to you without any worries.